Former Madagascan president Andry Rajoelina is set to return to power as partial election results on Saturday have given him a clear lead over his rival Marc Ravalomanana. With over three million ballots counted out of about five million cast, Rajoelina had won 55.1 percent against 44.8 percent for Ravalomanana, according to the electoral commission. Complete results are expected next week, before a period in which they can be legally challenged. As the count progressed, turnout was put at 48 percent – lower than the 54 percent in the first-round ballot. Both camps have claimed victory and alleged fraud, raising fears of a disputed result and the risk of a new political crisis in the Indian Ocean island which has a history of coups and unrest. But EU election observers said Friday they had not seen evidence of malpractice. “The Madagascans voted in a peaceful atmosphere in a transparent and well-organised poll,” mission head Cristian Preda told reporters. In the same vein, the African Union (AU) congratulated the “two candidates, the entire political class and the Madagascan people who, despite the differences, (…) have shown restraint”. Rajoelina and Ravalomanana, both former presidents and long-time rivals, have been locked in a fiercely personal duel for power after they came a close first and second in the preliminary election in November. “I have noticed massive fraud. There are electoral cards that are fake,” Ravalomanana told AFP on Thursday at his campaign headquarters in the capital Antananarivo. Sensing victory, Rajoelina’s campaign staff nonetheless responded with their own accusations, saying they had detected “fraud” and “manipulation”. The two candidates were both banned from running in the 2013 election as part of an agreement to end recurring crises that have rocked Madagascar since independence from Francein 1960. 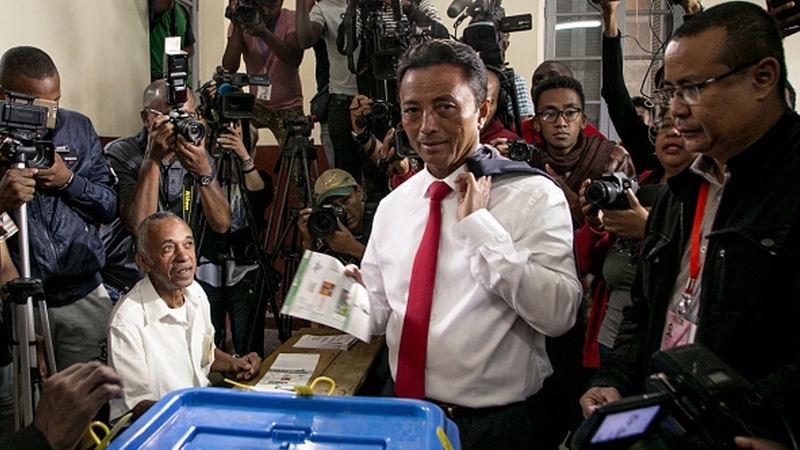 Ravalomanana, 69, was first elected president in 2002 but was forced to resign seven years later by violent demonstrations supported by Rajoelina, the then mayor of the capital Antananarivo. Rajoelina, now 44, was installed by the army and ruled until 2014. Ravalomanana is a former milkman who went on to build a business empire. Rajoelina is a former party planner and successful entrepreneur with slick communication skills. Madagascar is well known for its vanilla and precious redwood, yet is one of the world’s poorest nations, according to World Bank data, with 76 percent of people living in extreme poverty. The island, which is also famed for its unique wildlife, is dependent on foreign aid and burdened by a long history of coups and unrest. Complete results are due by January 9.